During the month of May google announced a series of changes that would affect his famous mapping service. Among the listed developments highlighted the browse tab fully redesigned, a score Compatibility, group planning tool and a flange recommended. All these changes came soon after, It is integrated into the maps since early summer. Catering business They have come greatly benefit from all these additions. Scanning tab offers now most significant results. to be consulted, displays a list of all existing facilities in the vicinity. It includes a specific section for businesses in the catering sector. Thanks to this innovative feature restaurants have the ability to attract new customers. A customer also has a offer high potential for recurring business as, for one reason or another, investigates the present business around specific location. 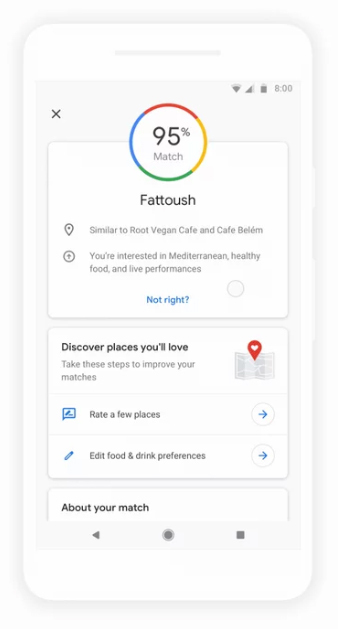 In addition to those options shown based on a criterion of proximity, has implemented a new system of personalized score for each user of Google Maps. The intent of this numerical value is report on how likely it is that the user in question enjoy your visit a restaurant given. Shooing away customers, this new indicator will have a positive effect on user reviews, to avoid many disappointments and disillusionments. Maintaining a profile Google Maps clean where the clientele has poured mostly positive reviews is a necessity today. In addition to its basic operation mode, these indices compatibility can be debugged from the setup menu. The user can indicate what your preferences are concerned food, beverage, environment and other. In this way the application will be even more accurate when determining compatibility between user and Local. Customizing services It is increasingly important and it shows in this new version of Google Maps. The "For You" tab offers more user recommendations. In this case it contributes updated information on the events that are taking place in their areas of interest; that is to say, the environment around your workplace, the neighborhood in which he lives, the way from home to work and any other area that frequent. Inaugurations notifications are published local, establishments that are gaining traction, restaurants that have recently appeared in the media... Another great tool for businesses to succeed in attracting new customers. The update also included an interesting section for those fans of gastronomy. «The Foodie List» is a section views of acclaimed consensual critical positioning derivative algorithm Google. This results in a list in which the most relevant local restaurants are compiled on the scene foodie. Any user of the famous search engine can take advantage of these new features, but those who have a mobile terminal with Android operating system plus enjoy two exclusive options. 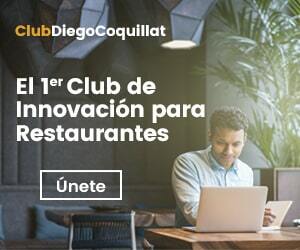 The first is a monitoring program thanks to which they can know what establishments in the top already visited (perfect for foodies inveterate and those who want to always be at the heart of trends). The second is a application that highlights the most important events in one area and given time, arranged tag search. Internet users can then search for the best restaurants for family dining, which are ideal for a romantic date or weapon which is a good party. Users who do not have the synchronized updates on your mobile only have to download the latest version of the app Google Maps through the virtual store to begin making use of the latest developments. And restaurants can be found a powerful digital marketing tool in these new integrated Google Maps improvements. To get performance for free just need a profile on Google My Business.